Astrology is an ancient science mentioned in Vedas. Astrology is generally divided into two parts. First is Astronomy which helps to calculate the accurate position of planets in sky. Second part deals mainly with the analysis of impact of these heavenly bodies on the people and earth. Astronomy is considered accurate by all scientists and they also acknowledge its accuracy as planets while moving in the sky exhibit incomparable uniformity in their speed and orbit. There does not come any change in their motion and orbit even in thousands of years. But there is no instrument designed to show the impact of these heavenly bodies on our personality and destiny. Statistics only lets us know their impact on our body. In our universe billions of heavenly bodies are connected with a gravitational force in such a way as if they are connected by a string and revolve around some central point continuously. The same gravitational force also has an impact on human beings and affects their life. Our ancient Rishis recognised this gravitational force, studied its impact on the human life and called it Astrology. Since the medium of transfer of knowledge was speech only, this great knowledge in the process of its propagation got distorted. Further, during medieval age there was Mughal Rule followed by British Rule and during both these eras the texts of astrology were destroyed. Therefore the knowledge of astrology available today is just a small part of the great knowledge imparted by ancient rishis. As a result, astrological predictions done today are not 100% accurate. There is so much of confusion now because of which the scientists have denied to accept it as a science. As the common man has started trusting the medical science because of the advance researches in this field, similarly to increase faith in astrology new researches are required. By doing this astrology can again be made useful. There are few universities where research in the field of astrology is done. But this research work is generally the compilation of various authors and work is nothing more than a critical study. There is no research work that checks the authenticity of various astrological yogas. Even the prediction is done by accepting the fundamental principles of astrology literally. For instance without reason or proof we accept that Mars has the lordship of Aries and Scorpio, the 7th house talks about marriage and fifth house is considered as house of children. We by doing research need to check the accuracy of fundamentals of Astrology including yogas and remedies, so that common man does not lose his faith from Astrology. In addition Astrology can be used to forecast weather and hence make it an important tool for agriculture. All India Federation of Astrologers' Society has already done lot of research in Astrology and on the basis of the findings the fundamental rules for accurate prediction for matchmaking, health, profession and children have been created. Software has been developed which predicts about rain, share market and rise and fall in the prices of gold, silver, wheat and grains. With the help of it the accurate calculation can be done in advance. Here we are giving details of few findings of research done by AIFAS. We analysed the horoscopes of 200 couples with no marital problems and that of 200 more couples with bad married life. After extensive research on the horoscopes of these 400 couples we found that average Ashtakoot points that matched in both these groups were around 21.5 out of 36. The role of Mars in determining marital bliss was almost negligible. 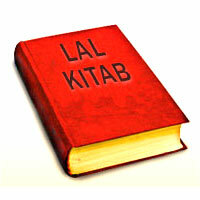 If the prospective bride and bridegroom are non Manglik then the probabilities of separation after marriage are more. People having Mercury and Saturn in 10th house face problems and obstacles in married life. Similarly Mars and Saturn in 7th house are bad for marital bliss but contrary to it the presence of Rahu-Ketu does not create any problem in married life. Our Research in the field of profession helped us to know that Mercury must have connection with 10th house for becoming a doctor. When Mars and Saturn are together in transit the probability of rain increases. When Mars and Sun are together then also the probability of rain increases. The research work on rain indicated that Moon does not have any role in rains. The percentage of probability of death of a man increases in the month of birth by 20%. As per astrological combinations Jupiter should be in 9th house or any Trikona for becoming a great astrologer. If Jupiter is 8 to 10 degree ahead of Sun then the native might become an IAS officer. The above researches help us to conclude that astrological Yogas we read in astrological texts should not be applied literally as they do not give exactly the same results as mentioned. If you modify them according to modern context the results would be more satisfying. Generally it is observed that people sometimes use the partial form of Yogas. For instance, Jupiter in Trikona makes a good astrologer but if astrologers also add Kendra to it the power of Yoga shall get reduced substantially. For getting the correct results, Yogas should be used in their original forms. In continuation of this process All India Federation of Astrologers' societies has signed a MOU / Agreement with Mewar University under which the federation shall open astrological research centres in India and abroad for helping students in their research work in astrology. In this array a one day conference on Astrology and Research is going to be organised on 18th August 2013 in Mewar University, Chittaurgarh, Rajasthan. You all are cordially invited in this conference. You don't have to pay any entry fee to participate in this conference. The entry fee has been omitted to encourage research. It has been affirmed rightly that Jyotish is an eye of Vedas. The only need is to open this eye. 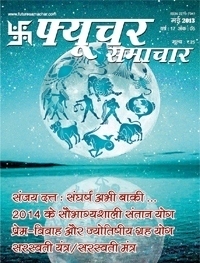 In this Paravidya special Issue of Future Samachar there are various articles containing detailed information about Santan yogas of 2014, love marriage, future of Sanjay Dutt, importance of shubh muhurat, venus and 12th house, santati yoga, dhan yoga, role of birth day in analysing physical attraction and personality, ascendant sign as mirror of personality, origin of numbers, Numerology, Lalkitab remedies, Palmistry, Health capsule, Vastu Prashnottari, Health capsule, Controversial vastu, Vastu consultation, yantra/mantra, Naturotherapy etc.